Hot springs, one of the treasures of Calabria. Calabria itineraries: Calabria is an important destination for summer agritourism. Calabria itineraries: Hot springs, one of the treasures of Calabria. Calabria is an important destination for summer agritourism, and in general for lovers of nature, archaeological history and Mediterranean culinary traditions, recently reinforced by the tourist itineraries offered by many agritourism farms, as well as by parks and food and wine ‘routes’. This is exactly the sector where the heritage of small spa resorts could make a decisive impact. They exist above all in the province of Cosenza, some with a long and famous history. When we think of spas and the beneficial, therapeutic effects of thermal waters during a period of rest and recovery, other centres in North and Central Italy are better known. But if instead you would like to take advantage of the springtime to try Calabria’s spa waters on your skin, here is a general overview. The province of Cosenza has the greatest number of spas, thanks to centres such as Acquappesa, Cassano allo Ionio and Spezzano Albanese. 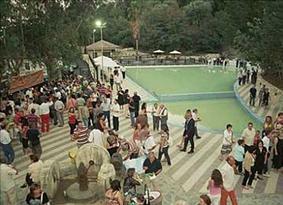 The Luigiane Spa, an excellent complex, is located in the Tyrrhenian municipality of Acquappesa. It uses hyper-thermal sulphurous, salso-bromo-iodic waters to provide all-round, appropriate therapy treatments for numerous ailments. The presence of university research centres means that the hot springs are also an important source for research. This partnership has meant that regular guided tours are held, led by experts who explain the characteristics of the water and the various types of spa treatments available. As for the characteristics of the water, is important to note that these hyper-thermal waters surface at a temperature of 42°C. and are sulfur-salso-bromo-iodic in type. In order to reach the Terme Sibariti, we leave the Tyrrhenian coast and cross to Cassano allo Ionio, a town with a rich and fascinating past, traces of which are to be found in the ruins of the city of Sibari and the artefacts held in the Sibaritide Museum. In the past this spa was a focal point for research and studies into its chemical, biological and therapeutic potential, which today makes it a very important centre, not only for Calabria. In fact the Cassano waters are defined as ‘hyper-thermal, sulphurous and medio-mineral’, and recent bacteriological surveys have identified the presence of hydrogen sulphide of biological origin. The water temperature is a constant 25°C., but one of the reasons for greater interest are the organic muds, produced by special phytobiological processes involving the growth of algae of various microbial groups. Our journey among the Calabrian spas now takes us to the south, to the province of Catanzaro and the Terme di Carone in the town of Lamezia Terme. Here, for over two thousand years, the sulphurous waters of the Caronte Spring have surfaced, and because of their approximately 39°C temperature, they are suitable for treating various diseases and no further cure is required. The peculiarity of this spa facility is its location at the foot of the Reventino Mountains, a few kilometres from the Gulf of Sant’Eufemia, in a valley surrounded by mountains of the planned 'Mitoio Caronte Protection Park', inside an ancient forest of oaks, chestnuts and pines.